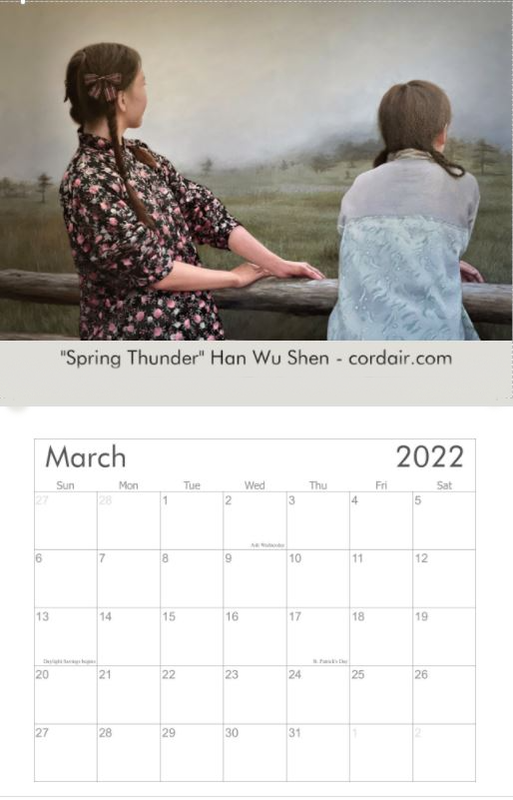 Now available—the 2019 Quent Cordair Fine Art calendars! 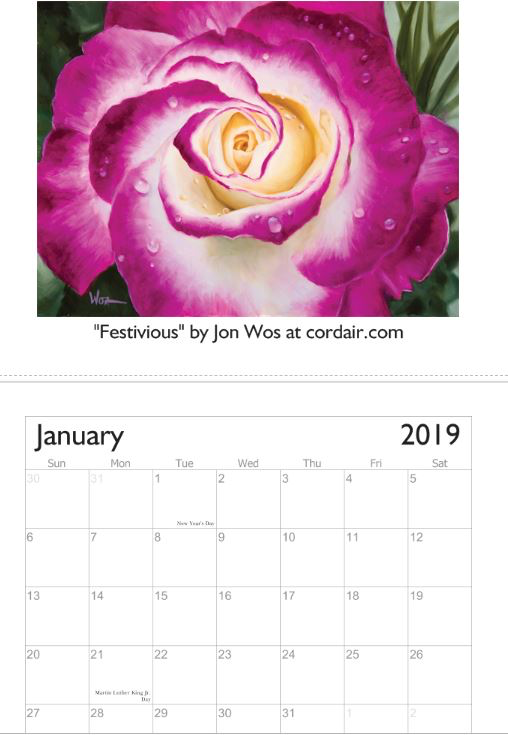 This year we are offering three styles: a wall calendar for $25, a second wall calendar featuring rose paintings by Jon Wos, and a desk calendar for $20. Each calendar features a different set of 12 work-friendly images by the artists at QCFA. All calendars will be limited editions and make GREAT gifts! Buy one for yourself first and then a few for your friends, family, co-workers, baby-sitter, mailman and more! Shipping is $3 for 1-3 calendars, or $5 for 4-6 within the US. Contact us for international rates.